Intelligence, when done well, should be a valued function that organizations think twice about before cutting head count – especially in a downturn. This is demonstrated clearly in companies where risk intelligence has become a vital function that grows in spite of downsizing. But it can go the other way too: functions that fail to demonstrate their strategic relevance are often the first to go (although they can also go for myriad unrelated reasons over which personnel may have no control at all). More than established professional functions with clear missions, risk intelligence professionals still need to consistently demonstrate their mission, value, and why they are a need-to-have, rather than a nice-to-have function. Be VERY smart on your business. Your team needs to know the business they are working in and align with its needs and priorities. For example, risk intelligence professionals in a heavy commodities trading company need to take the necessary time to understand what that entails and how it affects the company’s risk profile. If you work for a technology company with 20 different lines of business, over time, the team needs to understand each of those lines of business. By not doing so, the team risks becoming seen as something that can be outsourced in a downturn. After all, why pay for an in-house intelligence team if a contractor can provide roughly the same general analysis that doesn’t account for the specificity of the business? Be smart on what businesses are talking about. In his annual letter to shareholders, Warren Buffet warned of the instability that a successful attack on the U.S. economy could have. He continues on to discuss the inability “for investors and corporations to shed this risk”. Analysts can highlight thought leadership of individuals like Warren Buffett in program justification, strategy development and analytical thought. Including references to relevant business leaders shows that you understand your business, its peers and competitors, and the current economy, bringing additional credibility to your work as a business advisor. 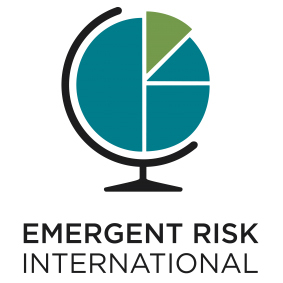 To use Mr. Buffett’s words: businesses can never fully “shed the risk” of catastrophic events, but as a risk intelligence advisor with business credibility, risk intelligence becomes a key partner in understanding the breadth of risks, planning for strategies for mitigating loss and taking advantage of opportunities afforded by a rapidly changing global business environment. Take time to build a strategy. Risk intelligence functions are often one-person teams with competing fires to address daily. Prolonged work like this for years, constantly reporting threats and bad news, can feel like progress and added value. Especially for those who like a very fast paced environment, this constant crisis mode activity seems like “what we should be doing.” In reality, colleagues may be wondering what it is we do all day. Many executives especially are well read, with tight leadership across their regions and businesses. They likely know the issue and business impact before an analyst can. Thus, no matter how many fires we put out, we need to do the deep thinking and deep work to add strategic value to our business. That requires a strategy of your own. What is the unique perspective and value add that your team brings to the business? How do you leverage that value? How do you build in time for strategic work? How do you present analysis in a manner that is engaging and drives innovation (especially when we’re used to telling the bad news stories)? Warning executives about travel risks is important, but can easily be outsourced. Demonstrating the strategic impact of long-term geopolitical issues and highlighting opportunities based on your unique knowledge of the company footprint overlaid with your risk intelligence subject matter expertise cannot be so easily replaced. Risk intelligence professionals, like most professionals, tend to have a certain vernacular that we use with our colleagues. Often it is a combination of words utilized during our government service days, and words we’ve picked up from colleagues who do the same. Within circles of like-minded professionals, this is fine. In our writing and communication with our business partners, it is not. To communicate in this manner risks looking like an outsider in your own company, and/or alienating people with scary sounding communications. Think about ways to eliminate or greatly reduce the use of words like threat, violence, and other highly negative words in your writing and speech (you can still convey risk without overuse of these types of words). Study other modes of communication to find a style that will work within your business. Evaluate your writing for too many phrases and hyperbolic words that imply alarmism. All of these things increase the perception of risk intelligence as a barrier to business, instead of being a vital part of business growth (which it is!). Because it is still a young profession, there is still so much room for creativity and new approaches to our field. It is also still in a nascent phase of development that requires more standards and structure to truly professionalize it. Consider taking a committee or supporting role in helping to better develop the profession through organizations like the Association for International Risk and Intelligence Professionals (AIRIP), the Analyst Roundtables, or other organizations working to promote and professionalize the risk intelligence profession. Write an article for LinkedIn or a professional risk management publication. The more we build the field and create professional standards around what it means to be a risk intelligence professional, the better business will be able to understand the true power of our profession to build business resilience. As hard as it can be to set aside the immediate; in order to do our jobs well, we sometimes need to take a few steps back and think about whether we are doing the job to the best of our ability. Are we so busy answering the mail that we are leaving much of our talent and potential value add on the table? Next time you have a breather, sit down and start working on that strategy. Set aside two hours on your calendar every week to focus just on this – no emails, no phone calls, no scanning the news. What are your goals for strategic work? Do they align with your company’s strategic priorities? How can you position your function to assist with this type of work? How can you show thought leadership within your role? Build bridges with your internal business partners, build knowledge of their roles, build a strategy for success and you will build resilience for your intelligence function and for your business. 9/24/2017Call to Action: Are You Committed To Lead? The Association of International Risk Intelligence Professionals (AIRIP) is a nonprofit business association for risk intelligence analysts and those interested in the profession. AIRIP focuses on, but is not limited to, the areas of business opportunity, physical security, cyber security, reputation, and political risk intelligence. Sign up for the AIRIP newsletter to stay updated with industry and association news, upcoming events, and more!